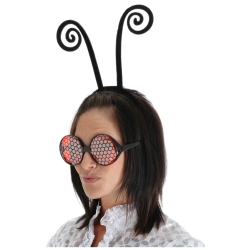 This antenna headband can be used as an accessory for a number of different characters including bugs and aliens. Many of our directors use these headbands for the Jitter Bugs in "The Wizard of Oz." The antenna headband features curly antennas on a flexible head band. One size fits most.